Russian Theft Auto-global mod for GTA San Andreas is being developed with the 2011 year but less conscious work started at the beginning of 2013. 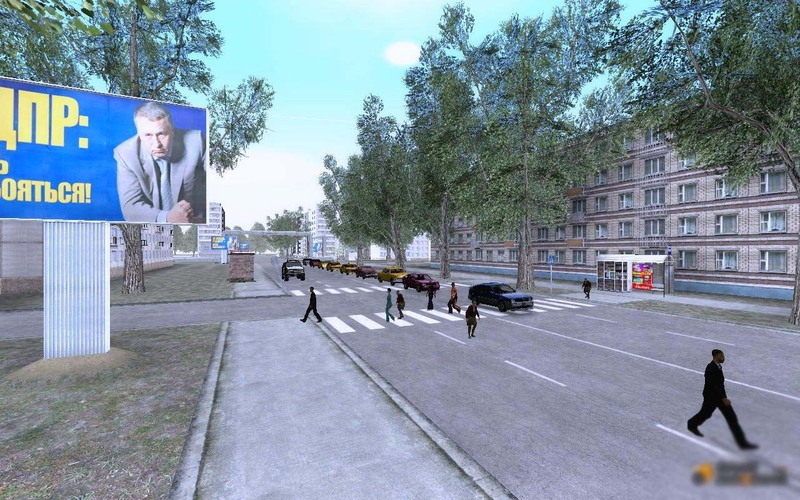 The mod takes down the entire State, replacing it with a Russian provincial town Ibutsk. Note: do not use the ENB 0.75 c or any other version from reflektnym bampom. If the textures are missing, install the CLEO script memory512.